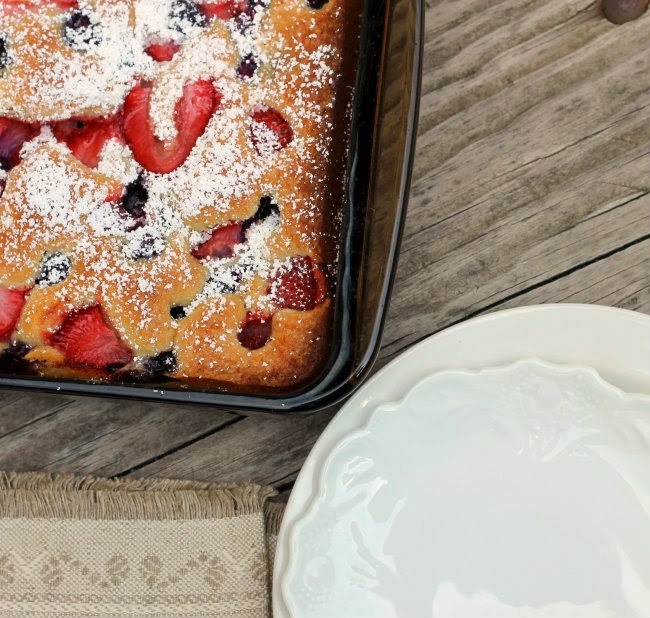 A summer berry dessert… that will make your taste buds so happy! Even though my heart belongs to chocolate and my taste buds too, I do have to say that I love to throw in a fruit dessert here and there. Actually I love to bake with the summer fruits. 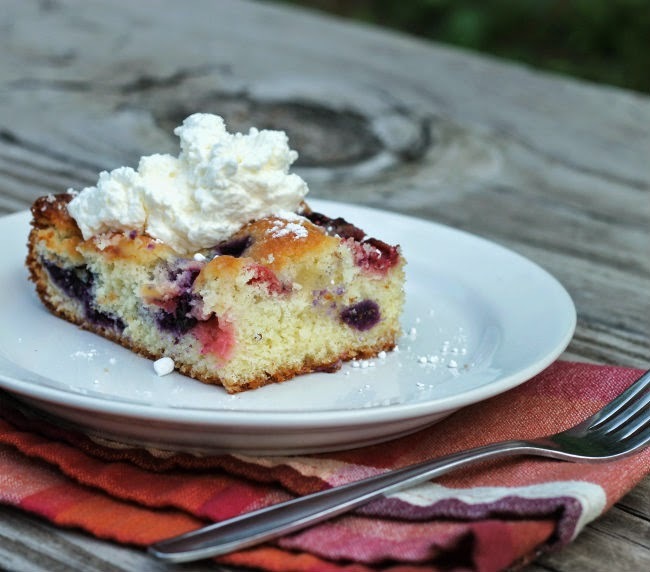 When I was looking for a fruit dessert for Sunday dinner I had my heart set on trying a berry tart, but then I saw this recipe for raspberry buckle and the tart seemed to slip my mind. I have seen recipes for buckles, but I don’t believe I have ever made one or even tasted one. It is a darn right shame that I haven’t tried one of these buckles before this weekend. 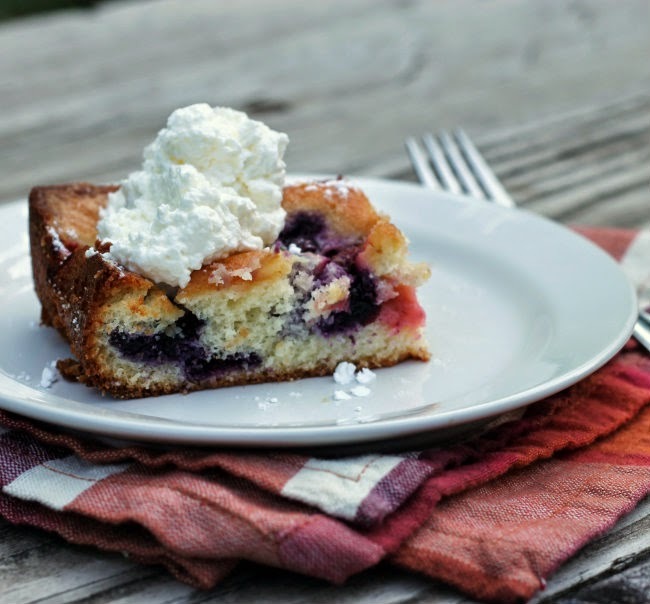 The buttery soft cake and berries make for one heck of a yummy dessert. Instead of the raspberries I substituted strawberries and blueberries. I love combining strawberries and blueberries, I think that they complement each other very nicely. If you have any leftover… if that possibly could happen… this dessert gets just a little moister. I love it with a dollop of sweetened whip cream so simple, but so tasty. If you haven’t made a fruit buckle before I strongly encourage you to do so, you won’t be sorry. 1. Preheat oven to 350 degrees F. Butter a 2-quart baking dish. 2. In a large bowl, cream butter and sugar with an electric mixer until fluffy. Add eggs, one at a time, beating after each addition to combine. 3. In a large bowl, whisk together flour, salt, and baking powder; with mixer on low speed, gradually add flour mixture until blended. 4. Spread the batter in baking dish. Scatter berries on over the top of the dough. Bake until a toothpick inserted in center of cake comes out clean and top is golden brown, 45 to 50 minutes. 5. Let cool 20 minutes; dust with powder sugar, if desired. 6. Serve with a dollop of sweetened whipped cream is desired. I love anything berry this time of year and tend to use a mixture of berries too. This looks delicious. 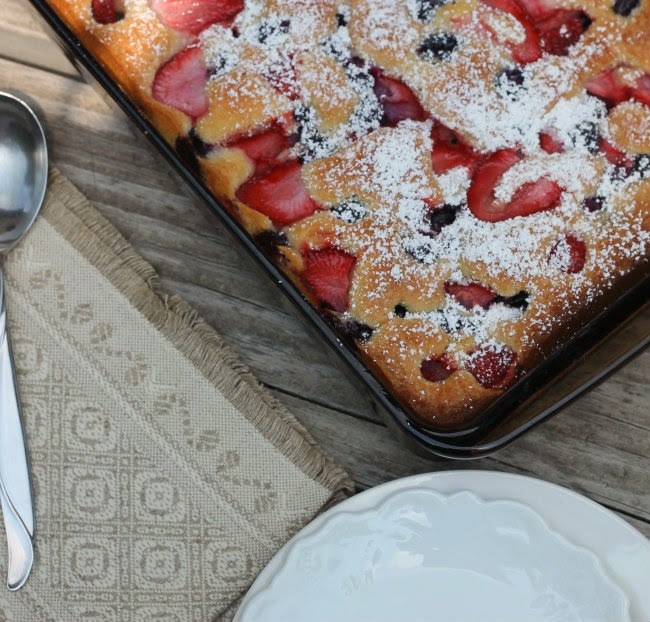 I love the idea of having lots of fresh berries in this buckle…looks beautiful Dawn! I love a good buckle! We often do a blueberry one, but love the idea of mixed berries. Now I need to run out to the grocery store and buy some! Thanks for this. This looks delicious with all those berries! A beautiful cake. I usually do blueberry but love the idea of throwing strawberries into the mix. I wonder how it would be with peaches – I have a ton of them right now. So many berries, so little time. I need this in my life!